Your story can be an essential and powerful part of your mission on earth. Debby Efurd’s fondest memories as a child were spent with her grandmother for story time. Fairy tales, fables, stories from her youth . . . they swept Debby away to another world. As one story ended, Debby would beg for more. When she was older, Debby fell in love with Bible stories and was eager to hear stories in Sunday school about Joseph or David or Moses. Then one day she heard the Greatest Story Ever Told and met and fell in love with the Main Character – Jesus Christ. That made all the difference. Somewhere along Debby’s life journey, though, Debby forgot who was in charge. That’s when life turned upside down. Decades later, after many trials and triumphs, she turned control back to the One who provides hope and transformation. Yes, stories can inspire, motivate, spur you to action . . . like an arrow right at your heart. 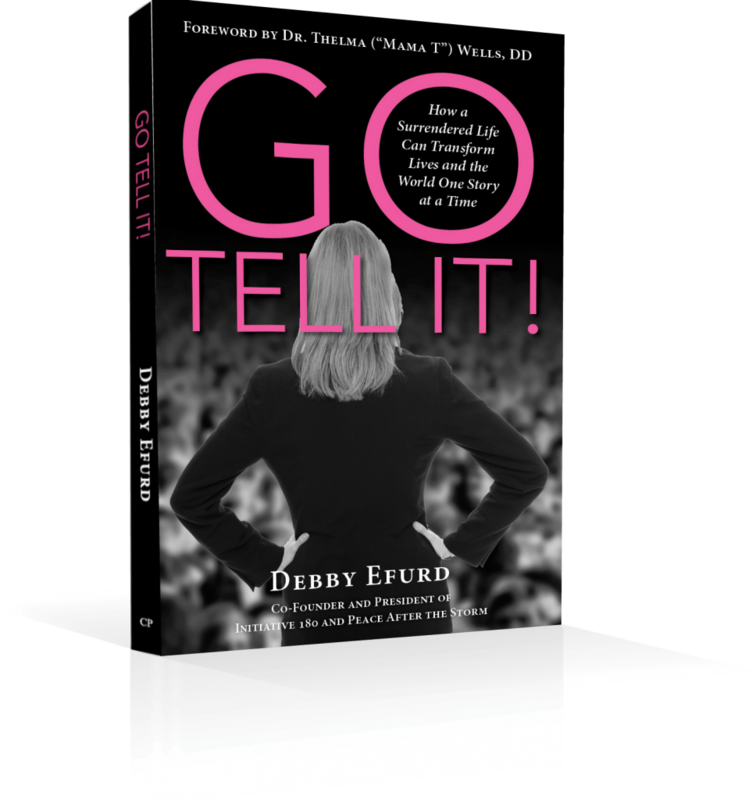 Go Tell It! provides compelling stories of hope and transformation of lives who have each made a “180” by finding and sharing their voices. Whether your personal story revolves around one moment, one ministry, or a multitude of life events, the key is to point to the One who makes your transformation possible. All it takes is a willing heart and the courage to be honest . . . one story at a time.